Sorry it has been so long between newsletters I have just started a new Job and have been building a mud brick wall when I get home. This leaves me a bent and broken man, mixing mud in a wheel barrow is not recommended for any one with a dodgy back. I now have my new employment under control and have shouted myself a second hand concrete mixer so I thought it must be time to drop you guys a line. To make it easy on myself I am going to revisit some of our past projects, in particular the air-layering we started some time back. I understand some of you may only recieve a text version of this news letter in which case this edition will look a little strange. The photos will be posted on the site as a follow up under the first version at the above link. 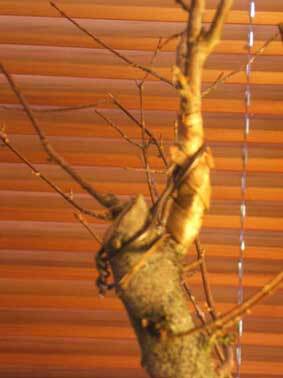 This is how the tree stands now. We are still in winter here hence the lack of leaves. 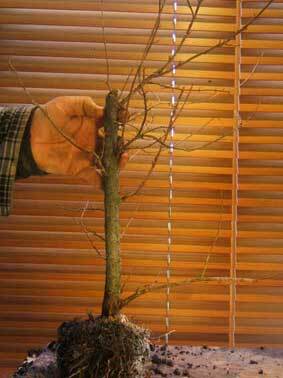 Some of my elms and one or two of the Maples have started to bud up in the last few weeks so hopefully Spring isn't too far away. 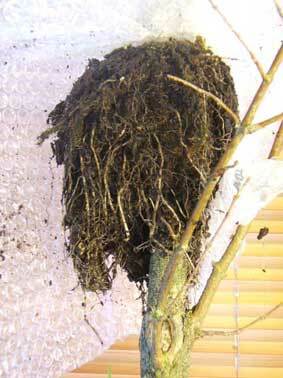 As you can see the roots have developed nicely. 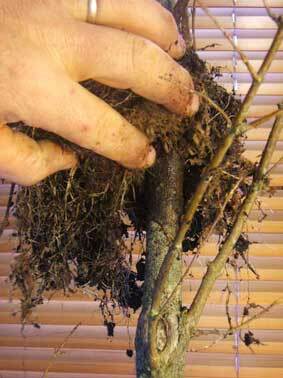 It is better to leave your layer for a bit longer if you are unsure, wait until the roots have hardened and there are some mature brown roots present. 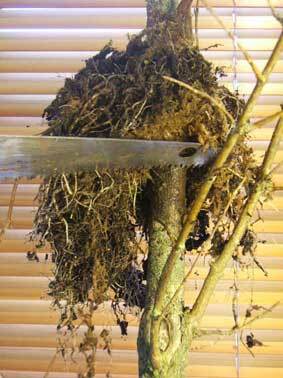 The roots should have developed from the section where you removed the bark. 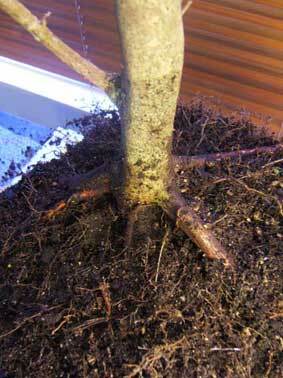 You may need the lift the roots to cut the top section as close to the start of those roots as possible. 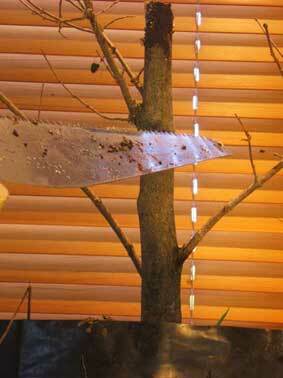 Use a sharp saw to remove the top section of your tree. 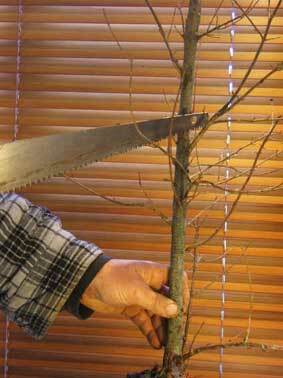 Carefully remove the top section of your tree. 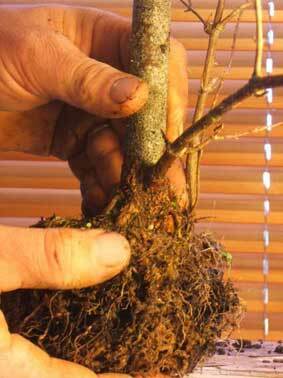 Try to keep as much of the root ball intact as possible. 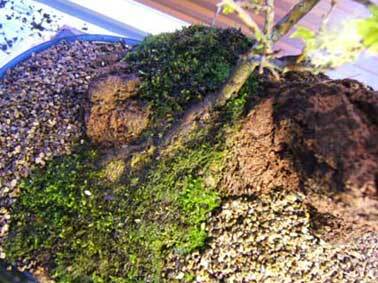 Don't try to remove the spagnum moss. 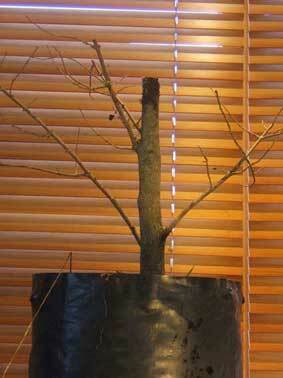 I am going to reduce the size of this new tree further to develop a new leader. A small section is left at the top of the tree to tie the new leader back to. This can be removed at a later date. 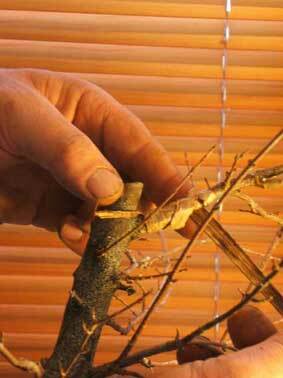 This new branch is going to be bent quite a way so the bark is protected with some rafia. I don't have rafia so we use a dry flax leaf. The branch is pulled up to create a new leader. 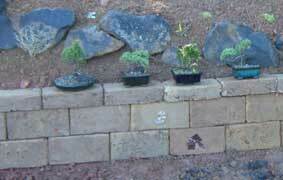 A pot is selected with plenty of room for the plant to grow and recover. The branches are cut back. 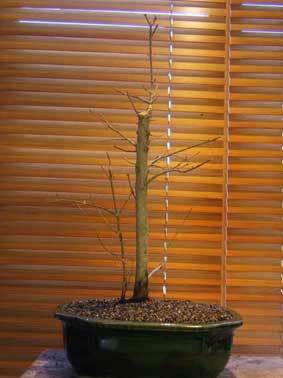 I think I will develop the tree as a twin trunk so the small branch at the base is left. We are left with the lower half of the tree. This is the piece we were after in the first place our top section is a bonus. The top is trimmed to the new leader. You can see once the top layer of soil has been removed that there is quite a nice even root development on the tree also. 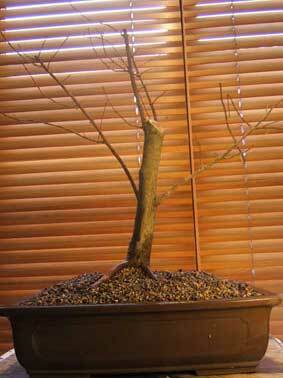 Our second tree potted and trimmed. 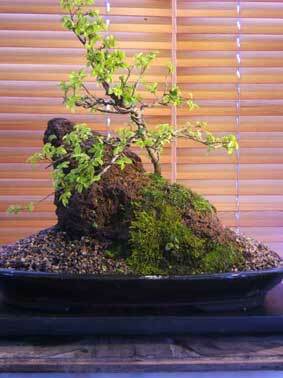 Remember that root over rock Elm. If not it is on the photo demo section of the site. This is how it looks at the moment. 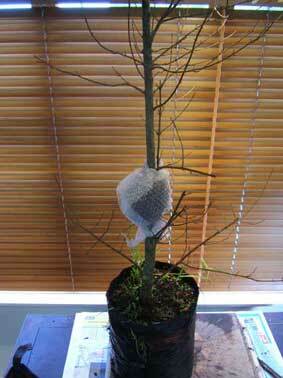 It has come into leaf very early and it would benefit from a little wiring. 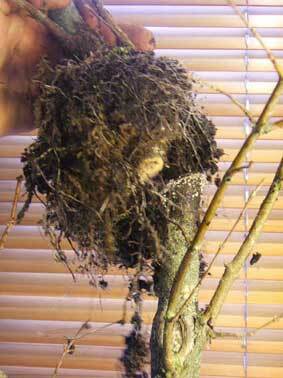 The roots were a little damaged so they have been packed with a little muck to help them recover. 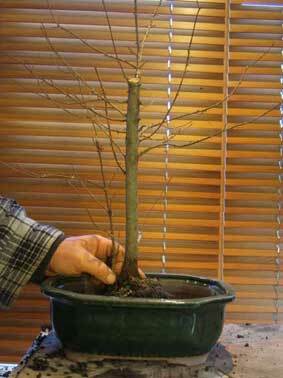 After wiring this tree should be fine for the summer now. The wire will be removed in around a months time. 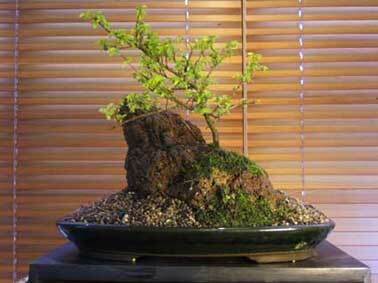 Don't forget the Auckland Bonsai convention is comming up.